If you are searching for the USB 3.0 driver of the Gygabyte GA-EX58-UD4P motherboard (powerspec G157), then you are on the right place, here at this post I want to share with you a working driver to save your day from long search. The Gygabyte GA-EX58-UD4P come with an etron EJ198 USB 3.0 Host Controller using the Hardware ID: "PCI\VEN_1B6F&DEV_7023&SUBSYS_1B6F7023&REV_01", so to get the USB working under Windows 7 just follow the steps. Download the official driver from HERE. Extract it then install from the exe file. 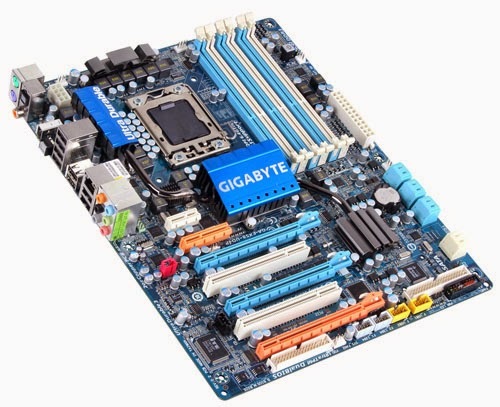 This driver work also on similar Gygabyte motherboards with same chip reference. That's it, very simple, if you still have problem let me know on the comment bellow.